Markets WRAP: Rand ends at R13.58/$. At 17:00 on Friday the local currency was trading 0.2% stronger against the dollar. Harmony Gold earnings for the six months ended December 31 will be lower compared to the same period in 2017, due, in part, to a R180m loss on its dollar denominated debt. "A translation loss of R180m was recognised on the US dollar denominated debt as at 31 December 2018, compared to a translation gain of R196m recorded in the previous comparable period," the company said in a trading statement on Friday. Harmony will publish its interim financial results on Tuesday. US equity futures dropped with shares in Europe and Asia as concern over economic growth and trade disputes pushed global stock markets toward their first weekly loss since December. Treasuries edged higher with gold.Contracts on the S&P 500, Dow and Nasdaq Composite all declined, with Hasbro tumbling in the pre-market after its earnings missed the lowest analyst estimate and Amazon edging lower as feuding intensified between its CEO and President Donald Trump. Lonmin has delayed placing some of its shafts on care and maintenance due to improved market conditions, putting brakes on approximately 12 600 job cuts announced in 2017. “Due to the improved market conditions, some shafts that had been earmarked to go on care and maintenance have been kept open for longer,” the company said in its production report for the three months to December 31.
usiness Unity South Africa has praised President Cyril Ramaphosa’s State of the Nation Address for prioritising economic growth and fighting corruption that has dogged government and state-owned entities. The president delivered the address, which focused heavily on plans to grow the economy, on Thursday evening to a joint sitting of both houses of Parliament.Ramaphosa, as had been anticipated, announced plans to split state-owned power utility Eskom into three separate entities in an effort to improve its finances. He also said government would step in to support Eskom's balance sheet, but did not provide details. Ascendis Health, already considering an offer for its Remedica unit, is planning to sell other key businesses as the South African company battles to service debt and ensure survival, according to people familiar with the matter. 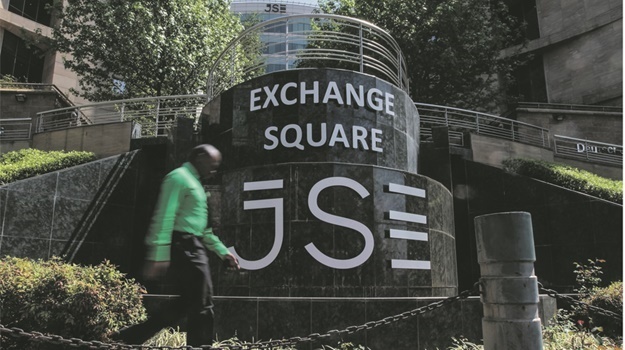 The debt-laden maker of multivitamins, probiotics and pet nutritional supplements received an unsolicited offer for Cyprian unit Remedica last month, providing relief for the worst performing stock on Johannesburg’s stock exchange last year. Ascendis has now earmarked its bio-science division for an additional sale, said the people, who asked not to be identified as the deliberations are private.The Remedica business has been valued by Ascendis at about $400 million, compared with a 2016 purchase price of 260 million euros ($295 million), the people said. If the as-yet-unnamed buyer agrees to meet that price, it would generate proceeds of more than double Ascendis’s current market capitalization of R2.4bn billion.The drugmaker didn’t immediately respond to a request for comment. On Wednesday, Ascendis said South African investment firm Legae Peresec has increased its stake in the company to 5%. Under Chief Executive Officer Thomas Thomsen, Ascendis has started a review of its business to bring down total liabilities of more than R9bn. The company has R200m in outstanding payments this year and about R4.4bn due in 2021, according to data compiled by Bloomberg. The 2018 share slump has had implications for its largest shareholder, private-equity firm Coast2Coast Capital. Its Chief Executive Officer Gary Shayne, along with his spouse and associated companies, have been forced to sell or transfer about R225m worth of Ascendis shares since November. Most of the disposals were triggered as the stock was used as collateral for loans. Stocks fell and bonds ticked higher as concern over economic growth and trade disputes sent global equity markets toward their first weekly loss since December. Oil and most industrial metals dropped, while the yen nudged higher. The Stoxx Europe 600 Index was dragged lower for a second day by automakers and technology shares. Stocks tumbled in much of Asia along with US equity futures following news that President Donald Trump is unlikely to meet Chinese President Xi Jinping before the March 1 deadline for more tariffs, re-igniting fears over further protectionist measures. Japanese shares led declines in Asia, and Hong Kong stocks pared an early slide as trading resumed after a three-day holiday. China’s markets remain shut for Lunar New Year. Investors are calling for a time-out on the risk rally that began around Christmas as central banks and governments from Brussels to Sydney cut growth forecasts. he Reserve Bank of Australia lowered its growth and inflation forecasts Friday. “Many of the central banks are reacting to the fact that the global economic situation has worsened,” Komal Sri-Kumar, founder and president at Sri-Kumar Global Strategies, told Bloomberg TV from Los Angeles. Australia’s dollar dropped to a five-week low after its central bank’s announcement, which followed a declaration by its governor earlier in the week of a shift to a neutral policy stance. Elsewhere, WTI crude oil fell toward $52 a barrel in New York while gold erased an earlier gain. Sasol said capital costs at its Lake Charles chemicals project in Louisiana have increased once again, to as much as $11.8bn, and start-up of the units will be as many as five months later than expected. The rand is unchanged from Thursday afternoon's levels of R13.6450/$, TreasuryONE said in a note on Friday morning. Global growth concerns continue to see a move to the dollar. In the view of TreasuryONE, President Cyril Ramaphosa's State of the Nation Address (SONA) on Thursday evenin did not reveal anything new as he touched on Eskom, job creation, land expropriation, foreign investment and tourism amongst other things. Eskom is to be split into three different entities in the latest turn around strategy. Barriers to foreign investment are to be lifted to attract investors and create jobs. Tourism to be boosted in order to double the current number if visitors with a specific focus on China and India. The next focus will be on the national budget on 20 February.